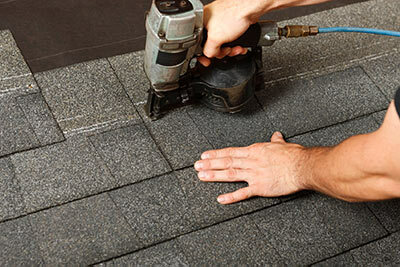 Whether you are looking to fix a damaged roof, upgrade the look of your home with new roof installation, or replace missing or broken shingles, the expert team of roofers at Certitude Home Improvements of Pennsylvania can help. Our best roofing services are available in and around the Southeastern Pennsylvania and the Main Line area. We only install the highest-quality roofing materials to ensure long-lasting results. Call us at 1-844-385-7669 or contact us online for a free roofing estimate! This awesome house in the historic area of Media, PA had a slate style shingle installed to replace the old boring ones. We think the new look is great! The homeowner asked us to replace both the siding and roof on their home to give it a more cohesive look than what they had before. Our inspection showed the roof was aging into disrepair and the siding wasn't protecting the home as effectively as good siding should. "The representative arrived on time, went over the options..."
When a roofing contractor evaluates the condition of your roof, the primary concern will be the roofing shingles or other finished roofing material. But before deciding whether roof repair or new roof installation is right for you, there are some other areas of the roof that should also be inspected. The functional condition of your roof is obviously your first priority. There are various reasons for a new roof, but many homeowners elect to have new roofing installed before the old roofing wears out, simply because a new roof can really upgrade a home's appearance. As experienced, professional Pennsylvania roofing contractors, we can help you decide if roof replacement or installation makes sense for your needs and budget. If you are considering a roof replacement, there are some exciting new roofing materials available – like composite shingles that look like old-fashioned roofing slates but are made from recycled rubber. Modern asphalt-fiberglass shingles have never looked better – especially the architectural grade shingles designed with extra depth and texture. Get a free roofing replacement cost estimate today to keep your home looking its best! Over time, all roofs wear out and will eventually need to be replaced. If you wait too long to repair or replace the roof, you can end up with leaks and expensive damage. On the other hand, replacing the roof too soon is a waste of money. It's important to be aware of the common roofing problems and which ones should be dealt with right away. To determine what is cost effective and what will keep you home in its best condition, have your roof professionally evaluated by the expert roofing contractors at Certitude Home Improvements. The professionals at Certitude Home Improvements can assess the condition of your roof and determine any early signs of roof failure. Contact us today for a free cost estimate in PA, including Wayne, West Chester, Malvern, Downingtown, Paoli, Frazer, Berwyn, Phoenixville, Haverford, Chester Springs, Exton, and surrounding areas.